Freadrick’s Royal Kingdom Adventure is a great, faith- based, christian, picture book for kids of every age who love adventure. In this book, your kids will learn that they can do great things by simply knowing God! Follow Freadrick around the world as he finds out that righteousness is given to you only by God. It isn’t about how good you are or about the bad things you do! It is about the King who is righteous and the crown He gives to you. With the easy to use Pop-Up text option, your kids will fly through this fun and scripture filled book! At the end of this great children’s book, you will be provided with an option to download and explore bonus content, including games, videos, music, coloring pages and more! 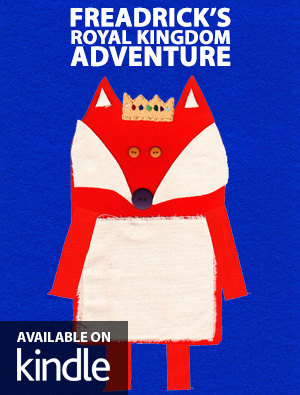 Watch the Freadrick’s Royal Kingdom Adventure Animation on Amazon Prime!